The Dubai International Boat Show is readying for 2019, returning to the UAE’s most impressive city to celebrate the world of yachting. 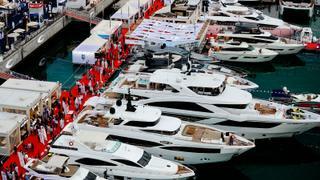 The key attraction, of course, is the yachts themselves and this year’s line-up hails from all the corners of the globe. Visitors can expect to see the Gulf Craft Majesty 140, the Custom Line 120 O, Riva's latest flagship the 110 Dolcevita and the all-new Pershing 82. As well as the on-water exhibits, the Dubai International Boat Show will also include stands from some of the biggest names in the superyacht world. Visitors can learn all about the latest projects from the likes of Oceanco, Baglietto, Amels, CRN, Heesen, Feadship and many more. Following the success of last year, the Dubai International Boat Show 2019 will return to its venue on Dubai Canal. Situated near Jumeirah Beach and facing the World Islands, Dubai Canal will host aquatic experiences ranging from kite surfing and kayaking to sailing and jet skiing. 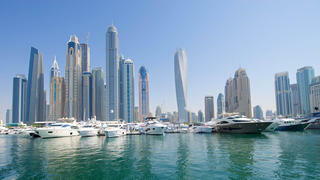 Dubai is widely regarded to be one of the best places in the world to rub shoulders with ultra-high net worth individuals and superyacht owners, and recent research backs up this reputation. 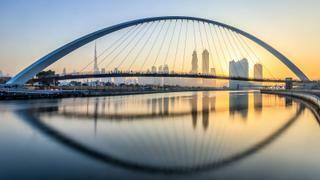 Show organisers Dubai World Trade Centre and the Superyacht Builders Association commissioned a 2017 study that found that 20 per cent of the ultra-high net worth individuals in the Middle East and north Africa have bought a superyacht in the past 15 years. This means that the area has the second highest concentration of superyacht owners in the world behind eastern Europe, where the figure is 46 per cent. This year the show features a 'Rad Zone' – a lagoon of the very latest high speed water toys. This impressive collection is guaranteed to set pulses racing with underwater drones, electric surfboards, sea scooters, personal submarines and more. Plus, watch some of the region's top flyboard pros perform incredible stunts at the Flyboard Championship. Dubai’s hospitality is legendary throughout the Gulf and the Dubai International Boat Show is a perfect example of this, with the VIP hospitality lounge, private beach and live entertainment at the Nikki Beach lounge. 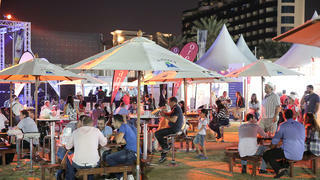 Unlike most boat shows, which open in the morning, the Dubai show takes a more leisurely approach, opening at 3pm and staying open all evening until 11pm.